With the 2014 Tour de France going to start in Yorkshire (even though it should be Edinburgh) I have compiled a list of the Best Cycle Climbs in Great Britain. The Pass of the Cross, also known as the Hellfire pass, the southern ascent of the climb is about 2.7km in length and can reach gradients of 1 in 4 or 25% (22.5 degrees). The climb is on minor climbs connecting Vyrnwy and Dinas Mawddwy. The climb was renowned in the world of Pro and amateur Cycling as the hardest climb in the milk race in the 70's and 80's. 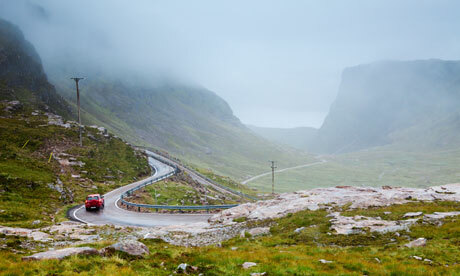 The Highest Road pass in Scotland is on the A93 from Glenshee ski centre to Braemar. The imfamous 33% hairpin " The Devil's Elbow" is 1 mile short of the summit. The A93 bypasses the hairpin (pictured) but the road still exists and can be cycled on very carefully. The climb can last for up to 11km but only starts getting hard in the last 3km. The Greatest climb in England, their answer to Mount Ventoux. A 40 minute climb just off the A66. 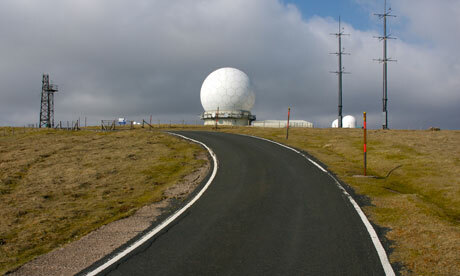 Approaching the summit from either direction you will see the golf ball radar station. The climb gets tough just as it starts, then gets tougher still as you bend right into what is a small taste of things to come reaching 25% that's 1 in 4 in places. Half the way up the long climb cars are not allowed to continue; as it is just to steep. 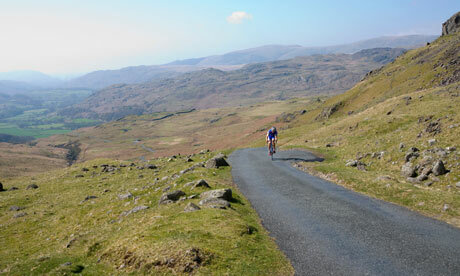 This is it, the hardest and toughest, the best of the best if you will, the top cycle climb in Britian. The Col du Tourmalet of Scotland is just off the A896 on the Applecross Peninsula and starts off with a fairly easy ascent until the end where it gets harder and a very steep 20% climb a thing that could really destroy your legs.